Christine is a doctoral student in the School of Education. Her research focuses on the use of educational technologies in early years settings. A key element is the link between practitioners’ technological and pedagogical beliefs. She is using qualitative and quantitative research methods, including working with early years practitioners on action research projects. Christine taught for eight years in the London Borough of Barking and Dagenham, and Northumberland. She supported schools across Northumberland to use ICT effectively before joining the Northern Grid for Learning. As Assistant Manager with responsibility for eLearning she provided support and training to primary, secondary and special schools across the North East and UK. She also led a group of eLearning Consultants to develop digital resources for teachers and pupils. Christine completed an MBA in Education in 2006, at Keele University. In addition to her doctoral research, Christine is working as an education consultant and freelance researcher. 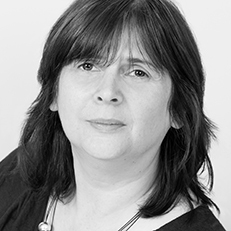 She has contributed to a range of projects, conducting and analysing qualitative and quantitative research with universities, nurseries, schools and colleges. Christine has worked with the Centre for Evaluation and Monitoring as an Assessor for the Excellence in Assessment Course and as a research assistant on the ICCAMs Project. Jack, Christine (2019), Enhancing the use of Educational Technology in the Early Years, in Shao, Xin & Dobson, Emma eds, Imagining Better Education. Durham, England, Durham University, School of Education, Durham, England, 83-94.